Donnafugata is a fictional town that includes existing and easily recognizable places. 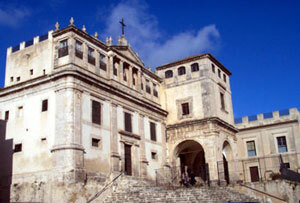 According to the information contained in a letter Lampedusa wrote to his friend Baron Enrico di Merlo Tagliavia "The palace at Donnafugata is one and the same as the one at Santa Margherita, while for the town as a whole, the reference is to Palma Montechiaro" Palma di Montechiaro was founded in the mid 17 century by two ancestors of Lampedusa: Carlo and Giulio (also known as the Saint Duke). This is the place where the family’s feudal title hails from and is emblematic even in its architecture and urban design of the Tomasi's uncompromising mysticism. The tour of Palma Montechiaro follows an itinerary that enables you to know the "holy" ancestors evoked by "The Leopard" and figures, circumstances and monuments described in the book.Without Palma di Montechiaro "The Leopard" would not have existed. Chauffer- driven. On demand we can provide English speaking driver/ guide and/or licensed tour guide. Available also from Palermo, Catania and Taormina hotels.